This blog is dedicated to my quilting escapades. Here I will journal my projects. 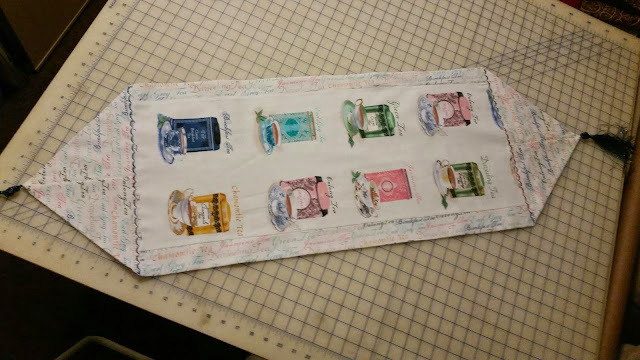 Also, I will chronicle my various things related to quilting and tips I have found useful. 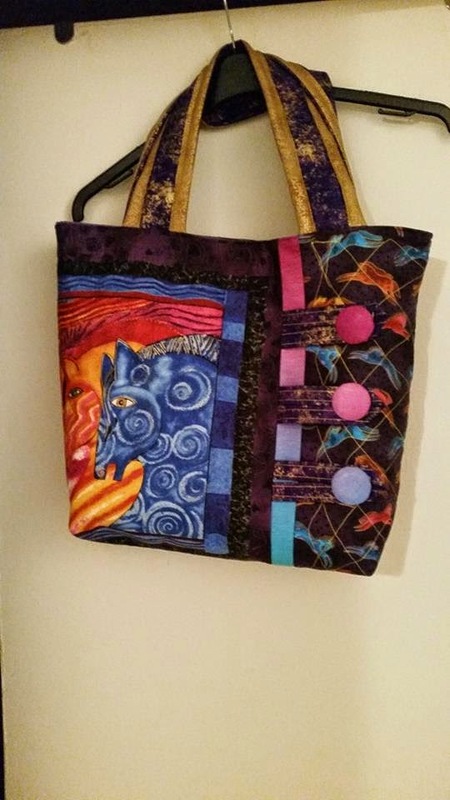 Here is a bag I completed over the weekend. The photos are of the front and back of the bag. 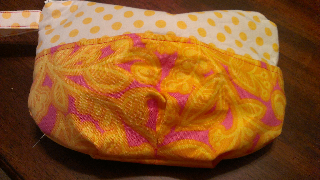 It was inspired from a tote class some quilting friends did over the weekend. The pattern is called Button It Up! from Patti D. Designs. We picked it up at PIQF in October. 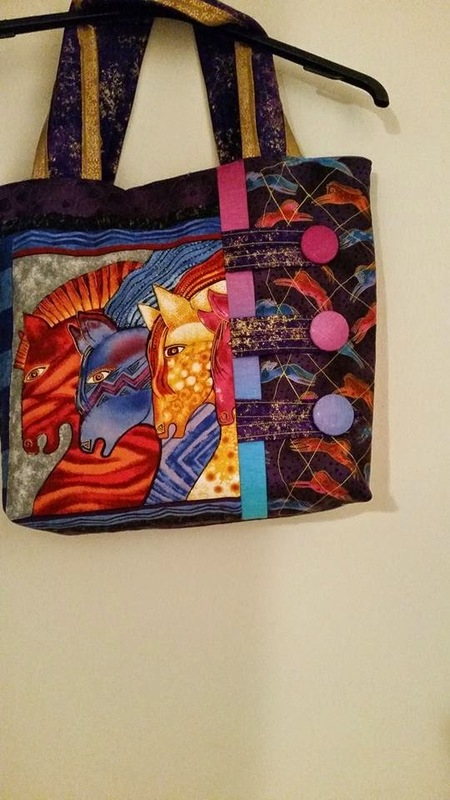 The bag the designer did was using a Paris fabric but, I went another directions since I love purple and bright colors. It measures: approximately: 17x13x5. I also modified the straps adding a binding and widening them from the original design. My friend, Melodee Wade a long arm quilter showed me how. 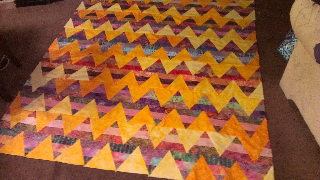 Rays of Sunshine has been quilted. I love the way it came out and I'm sure the recipient will love it. This litttle bag is adorable. I also used the heat and bond vinyl for the lining . I will be making more today. I used Amy Butler's pattern. Try them. I have been completing a landscape from a photo I loved. It's not completed yet, but I thought I'd share. 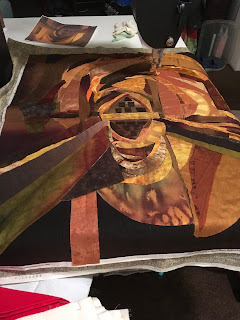 So, now that I am expanding my interests the initial purpose of the blog was to posts my quilts. Now it's a few other items as you can see. I still consider myself somewhat of a newbie to quilting. Albeit, I have sewn since I was 8 years old. I hope you enjoy checking out what I'm doing and I invite you to leave a comment if you like. I come from a family of women who sewed and have recently learned there were quilters in my family. 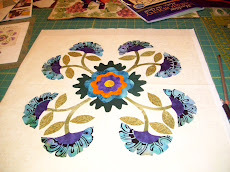 Check er Quilter's Blog Here. Powered by website optimization firm.